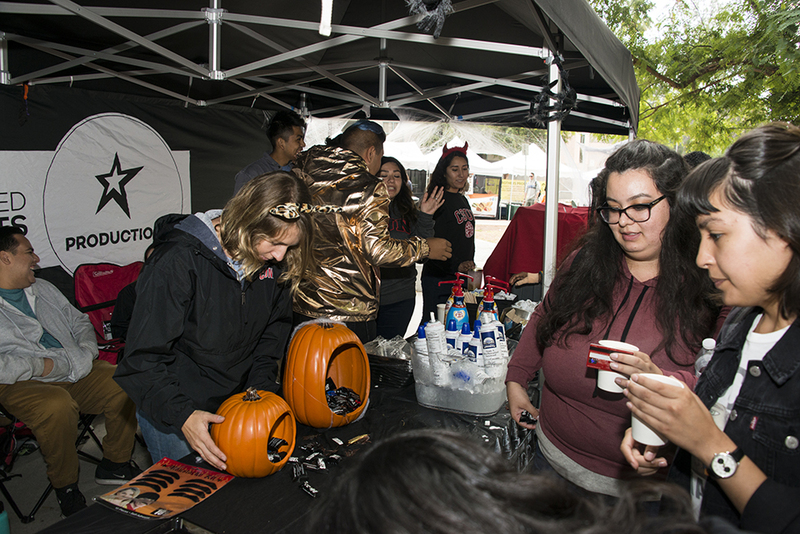 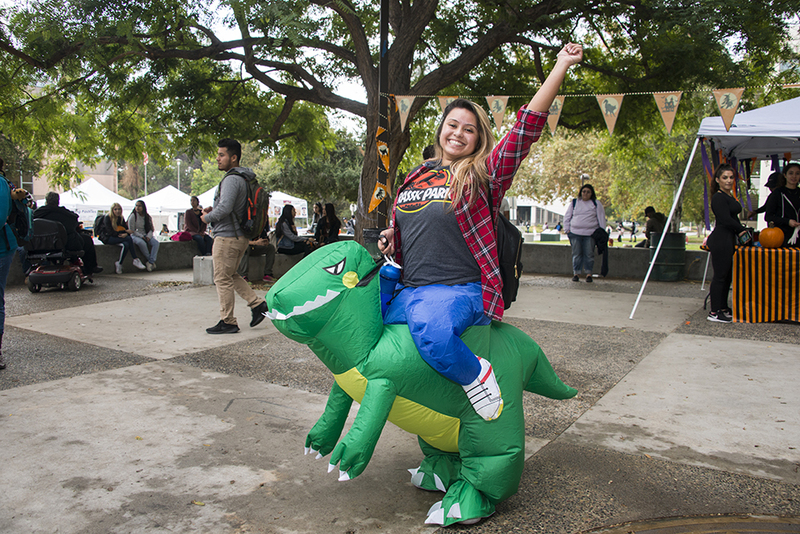 Colorful characters from all parts of the universe gathered in the drizzly Matador Square on Oct. 31 for California State University, Northridge Associated Students Productions’ annual Pumpkin Fest. 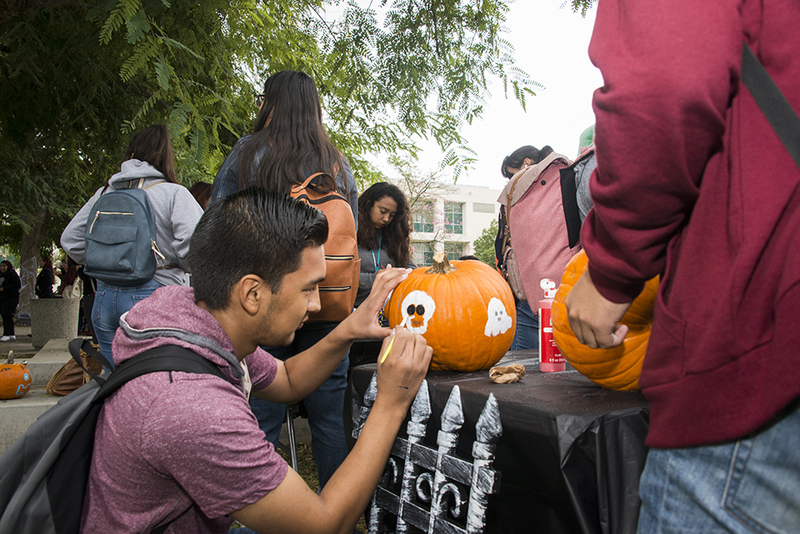 Students, superheroes and fictional characters played games, decorated pumpkins and enjoyed free cocoa and treats in celebration of Halloween. 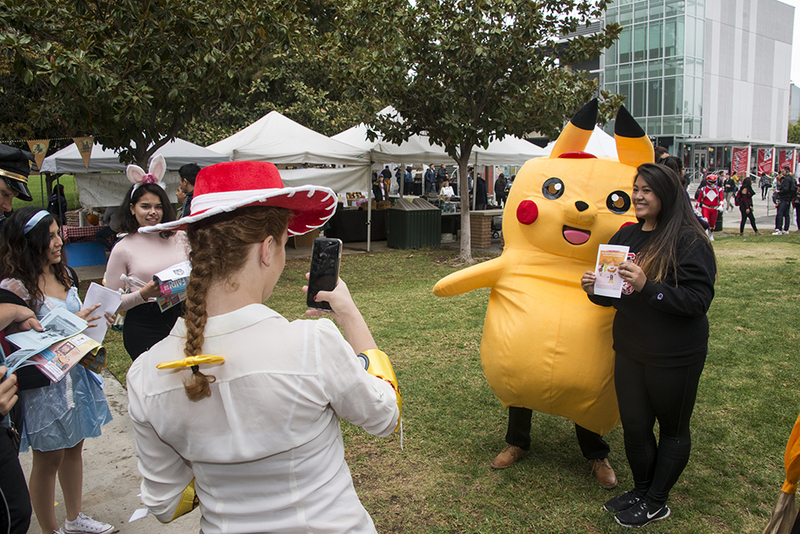 What other time could you see Pikachu, Moana, Minnie Mouse and a Wookiee walking around campus? 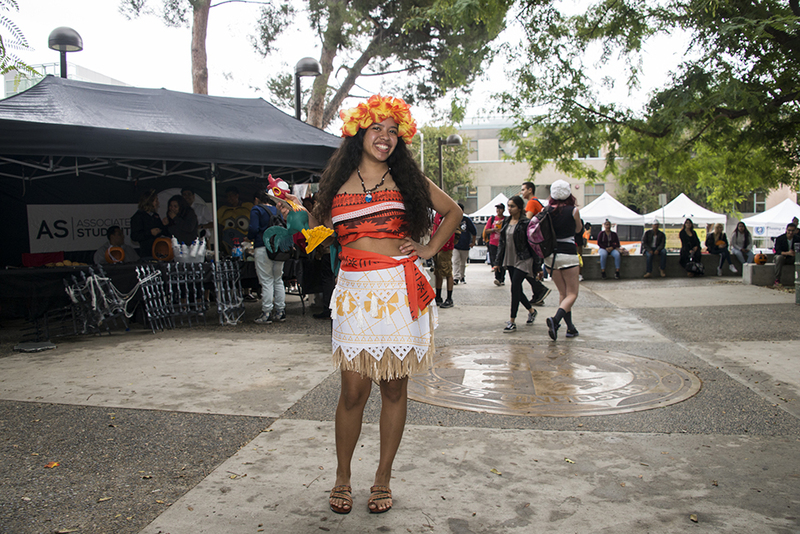 Many students, faculty and staff dressed to reflect their festive Halloween spirit. 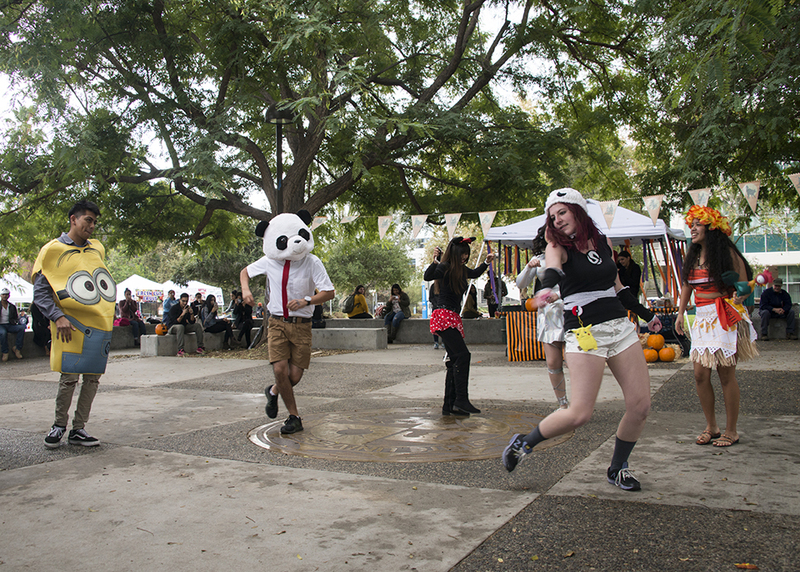 Costumes ranged from the elaborate to the minimal, with the emphasis on fun – not scary. 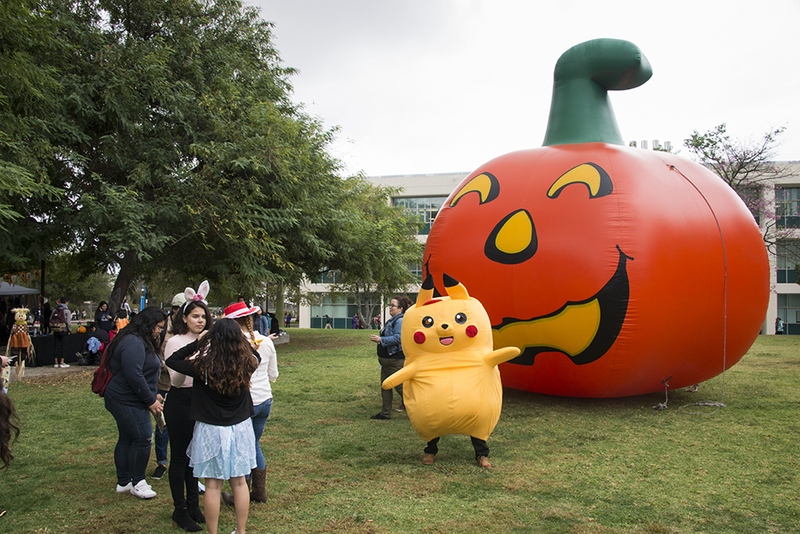 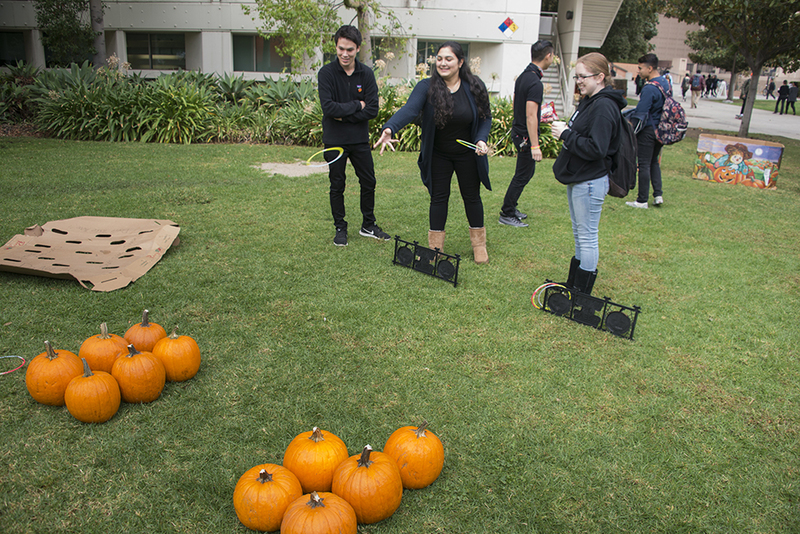 The 400 free pumpkins that were purchased by CSUN Associated Students and CSUN Dining to give away at the event were gone within 15 minutes of its start. 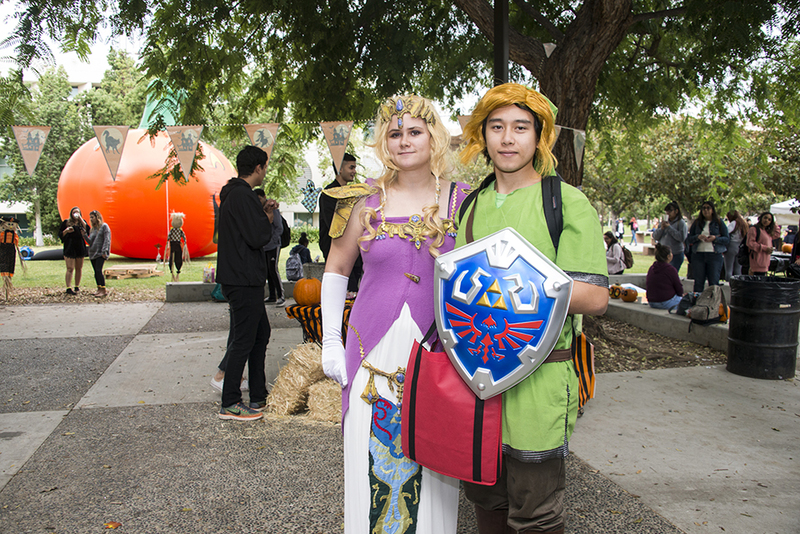 But even without the event’s namesake gourd, attendees had plenty to do. 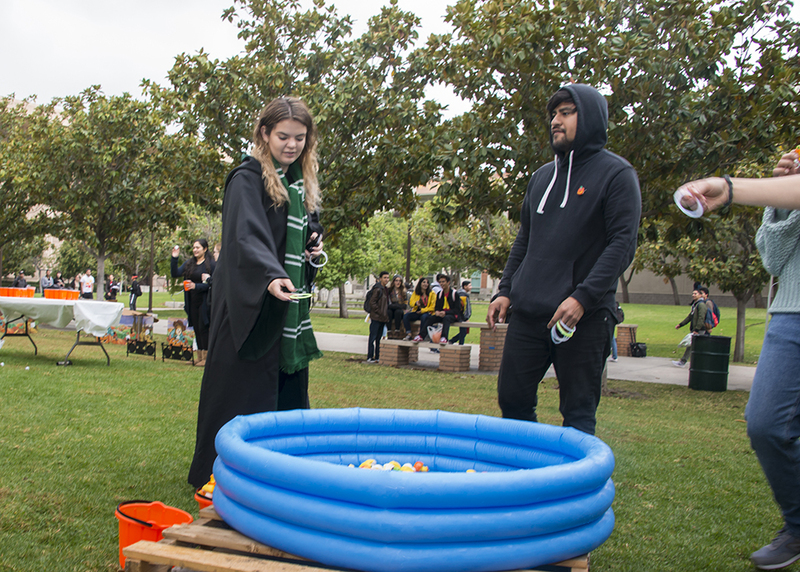 Ring toss games, dancing and free treats kept everyone occupied and in good spirits as the nearby Farmers Market buzzed around them. 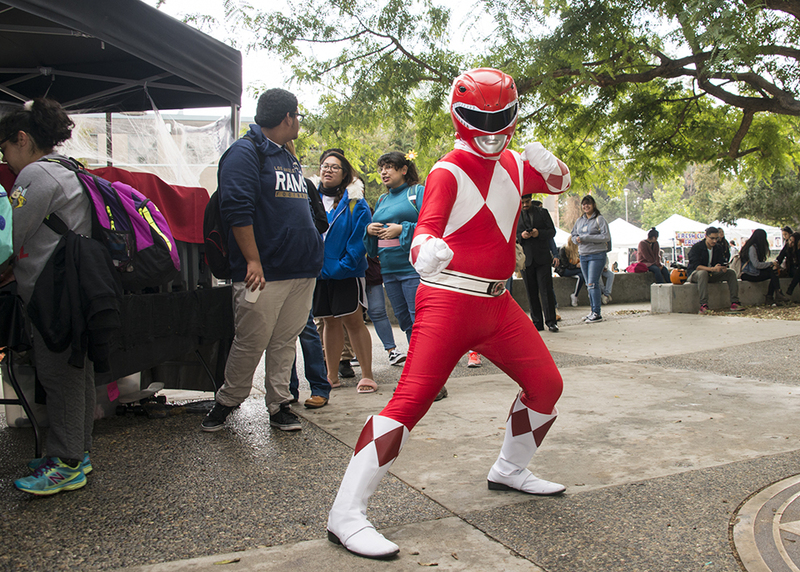 Though many attendees were not able to stay long because they had class, work or needed to go save the world, the event served as a great way for CSUN to celebrate Halloween.